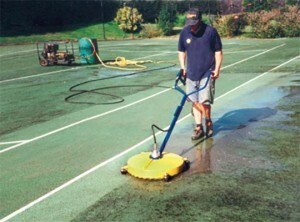 With courts now starting to become slippery under foot from 1st November 2015 – 1 March 2016 we will be offering great discounts on Single & Multi Court sports surface cleaning and moss treatment. Please contact us for details. 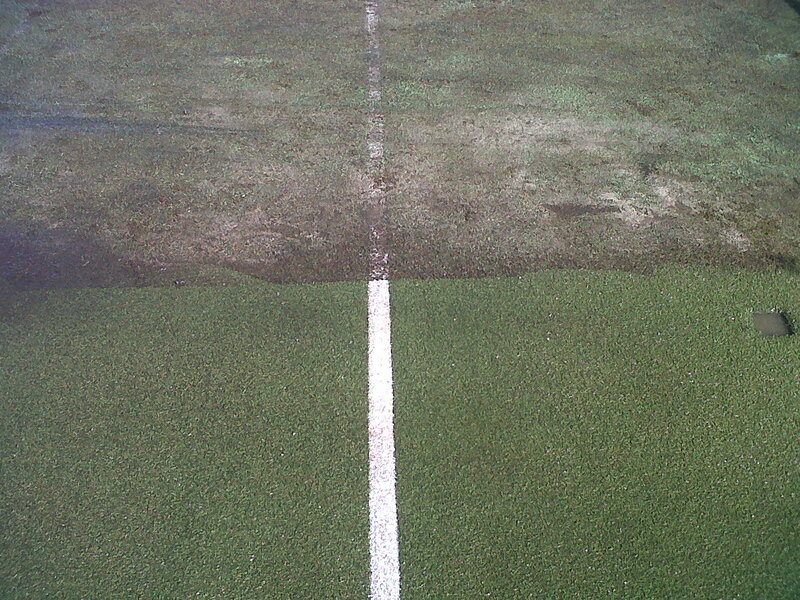 Regular maintenance will prolong the life of your playing surface. Over time, a build up of moss and algae can destroy the underlying surface causing frost heave and structural damage which is then costly to replace. Moss and debris on the court can make the court unnecessarily slippery and hazardous. Good maintenance ensures a better quality of game. A dirty court makes the balls bounce inconsistently and makes lines less visible. Annual Service Packages are available for Sports Clubs, Schools and private courts.